Manoj is a Monash Medical Student currently on placement at the Central Clinical School. With an inquisitive mindset and a knack for creative problem solving, he is one of the co-founders of a small ed-tech tutoring company called KIS Academics. 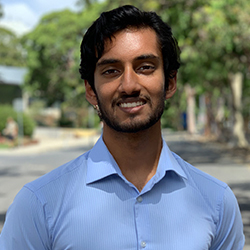 Generally interested in the realms of technology, medicine and consulting Manoj is keen to foster a culture of innovation within the medical student community as well as develop his skills in the startup sector. Hayden is studying a double degree in Education and Information Technology. He is interested in the EduTech space and aims to be at the forefront of education and technology changes. 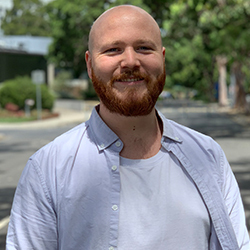 Hayden has just participated in an internship with Australian company LiveTiles and has previously visited New York with the Monash Global Discovery program to discuss innovation. Besides career interests, Hayden enjoys nature and the environment, travel and exploration and gaming. Hayden strives to give everyone an equal opportunity and challenge conventional mindsets while encouraging and inspiring others to be motivated by their impact and difference they can make. 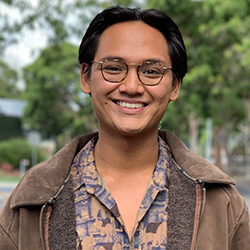 Christian is currently in his fifth year of the Law and Human Rights/Politics double degree at Monash University. He is infatuated with the advent of technology in the legal sector and the limitless potential it has to produce wealth and happiness. He envisions entrepreneurship as one of the most important and effective avenues for creating positive change. Christian is also the President of the Progressive Law Network and a co-founder of 'A Reasonable Standard' (ARS). ARS is a project in partnership with Monash University that is focused on providing mental health services to law students through student-made content and coordinating events with the Monash Student Support Services. Harley is a Commerce student majoring in Actuarial Science. She is passionate about cross culture, equality and educational innovation. 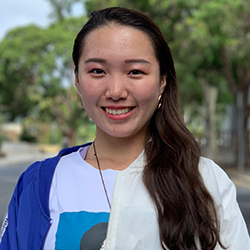 Throughout her volunteering and industrial experiences, Harley has been fascinated by the impact of a culturally diverse environment on one’s personal development in various aspects. She hopes to embrace and spread the impact through her side hustle, which helps international students choose their major and enhance their engagement in university. Carla is a second year Master of Business student. She has a bachelor’s degree in Biochemistry and 3 years of work experience in the oil industry where she managed projects with research centres. Currently, she is a mentor for a unit in the Faculty of Business and Economics. She has participated in Medtech’s got talent 2018 edition. She is passionate about social causes and making a positive impact on society through entrepreneurship. 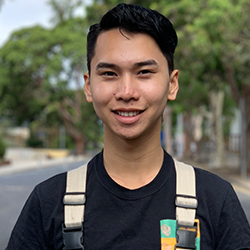 Daniel is an IT student who has been part of the Generator since August 2018. In July 2018, he was part of a group of Monash students who went to Italy where they designed a new collection of Monash merchandise for Monash Prato campus. Daniel is the founder of seekforcreatives.com which was launched via the Validator program as well as being involved in several start-ups including No Excuse Alarm Clock, TM Travel and luvmybottle.com. His focus includes Inclusivity, health and sustainability. 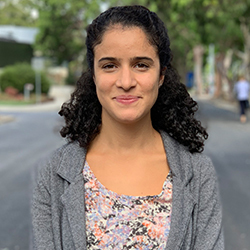 Nan is a first year student pursuing Econometrics & Data Science under Bachelor of Commerce Specialist and Bachelor of Computer Science at Monash Clayton. She’s an outgoing and resourceful individual, a communicator, as she takes initiatives to make things possible. After the experience of traveling and socializing with people from different industries and backgrounds across China, Malaysia and Australia, she has witnessed how the diversity of the culture can affect business from an industrial perspective. 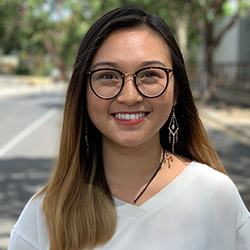 As the ambassador of Monash Generator in 2019, she has been actively attended the VALIDATOR training program as the founder of ParkCar Chill in 2018 and quickly adapted and involved in Startup community in Melbourne as a new comer. Most importantly, she cares about the maximization of efficiency the most for a better and wiser time consumption. That’s why she started the project helping the drivers to book and secure the on-street parking spots in advance. You will probably see her quite often in startup-related networking events, workshops and talks. Lachlan a second-year student studying a Juris Doctor at the Monash Law Chambers. He is passionate about undertaking a career that helps make legal services more accessible for startup founders and entrepreneurs. 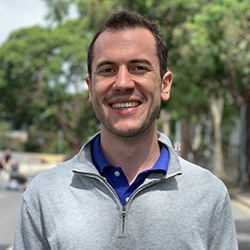 Lachlan is specifically interested helping startup founders and entrepreneurs understand their options, rights and obligations in relation to raising venture capital. Lachlan currently works at the Melbourne based equity crowdfunding platform Birchal.